We are pleased to announce the addition of a brand NEW book to our prestigious list of Reading With Your Kids Certified Great Reads. We are really excited about this announcement, you may recall Terance was a wonderful guest on our show on September 3, 2017, and his first children’s book December Celebrations in the Mr. Shipman’s Kindergarten Chronicles series has already won the title of a RWYK Certified Great Read! 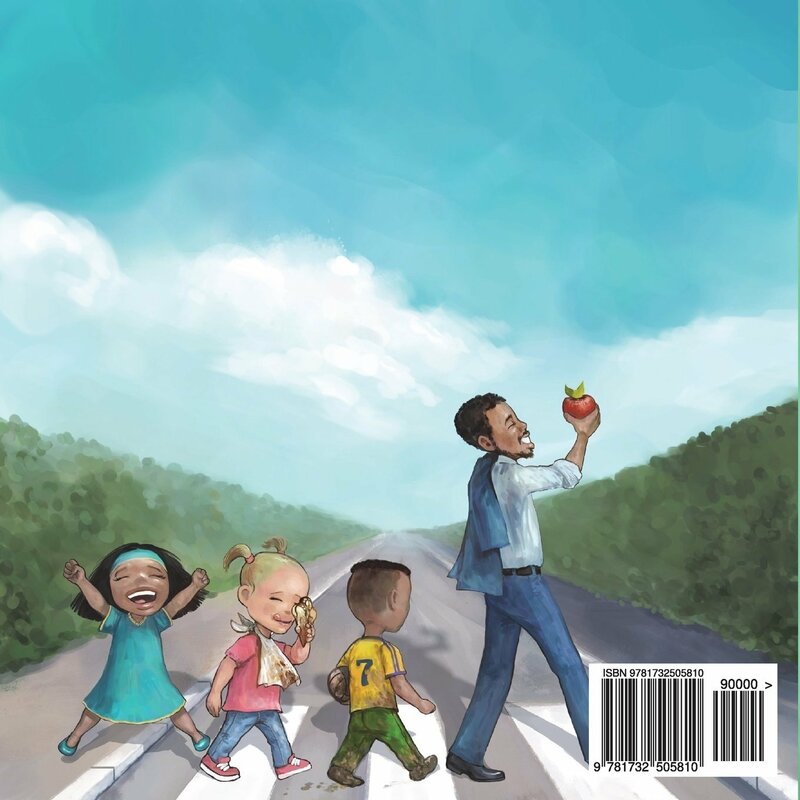 The First Day of School is the second book in the Mr. Shipman’s Kindergarten Chronicles series and just like the first book, this continues to celebrate the male teacher, in particular, the black male teacher. Mr. Shipman presents a positive and strong black male image that children need. We hope you and your family enjoy reading this book as much as we did! In case if you missed reading the review of December Celebrations, Click the link below to read it. When Dewayne, a soon to be kindergartner rushes in the house after going shopping for school supplies his sister Banicia and mother help him understand what’s about to happen. An entertaining story of the wonder and excitement of going to kindergarten. Join Banicia as she recalls The First Day of School in Mr. Shipman’s classroom. Mr. Shipman is their kindergarten teacher, and he makes The First Day of School an experience his students will never forget. Mr. Shipman shares it all with his class of delightful five-year-olds and builds excitement for your child for all the things, The First Day of School in kindergarten can be! Dr. Terance Shipman is a 23-year veteran teacher. He spent much of his teaching career working with elementary aged students. In fact, he spent his first 11 years teaching kindergarten! He is proud to say that he built strong relationships over those years and has an incredible network of his students and their parents and co-workers that he has remained in contact with over these years. Dr. Shipman calls this ever developing network “Team Shipman”. Through Team Shipman, Dr. Shipman offers continual encouragement, leadership, and mentorship to his students, their families, and his professional peers. Dr. Shipman currently teaches middle school and extends membership to Team Shipman to his current students and their families, as well. Mr. Shipman’s Kindergarten Chronicles are the stories of teaching kindergarten that make Dr. Shipman smile the most when he thinks about his years teaching kindergarten. Each book in the series celebrates the male teacher, in particular, the black male teacher. Acknowledging the under-representation of black men in education, Mr. Shipman presents a positive and strong black male image that children need. Through his first series of books, Dr. Shipman’s Kindergarten Chronicles, Dr. Shipman hopes to make kindergarten an exciting and anticipated adventure for students, parents, and teachers, while casting an even wider net for Team Shipman. With captivating illustrations and an imaginative storyline, The First Day of School by Dr. Terance Shipman is a must-have for any child who is about to start school. It’s is the second book in the Mr. Shipman’s Kindergarten Chronicles series and just like the first book, this continues to celebrate the male teacher, in particular, the black male teacher. Mr. Shipman presents a positive and strong black male image that children need. The first day of Kindergarten is an exciting and emotional day for both you and your child, but it can also be a day of celebration and family fun. We know that school anxiety is real and one way we can help minimize it is to read a lot of books about what to expect in kindergarten. We think The First Day of School will be a great help to prepare your children for the exciting world of kindergarten! Mr. Shipman’s book addresses the fear of many children setting off on that first day of school – the anxiety, the worry, and the imagined worst-case-scenarios through the eyes of a little girl Bonicia. Dewayne is a little brother to Bonicia who is soon to start kindergarten. He knows all about kindergarten because his older sister told him. She happily recalls The First Day of School in Mr. Shipman’s classroom. Mr. Shipman is their kindergarten teacher and makes The First Day of School a memorable and delightful experience for all his students. Bonicia reassures his brother that he will have a fantastic day at school. By the end of the book, the young boy is excited and looks forward to his first day at school in Mr. Shipman’s classroom! From morning announcement to school building tour, recess to nap time, circle time, lunchtime to story time, everything in a kindergartner’s school day is covered in this delightful picture book. Kids will learn about making new friends and what good teaching is and the value of a good teacher. They will no doubt be excited by all the fun events and activities they will experience in kindergarten. The colorful illustrations contribute to the humor of the story. It fits well with the words to add to the humor and show the child’s angst which is quickly resolved. The images are bright, bold, uncomplicated. Sometimes there are small illustrations on the page with text beside it that helps the reader figure out the text. This one should be on every Pre-K shelf. PreviouslyJoin The Stupendous Adventures of Mighty Marty Hayes!! Read NextAstronaut-Aquanaut: How Space Science and Sea Science Interact!